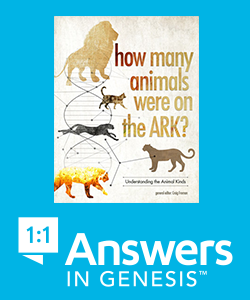 Almost anyone who’s familiar with the Bible would know the story of the seven days of creation in the first chapter of Genesis. The Bible begins with the words: “In the beginning, God created”. What follows is the story of seven “evenings and mornings” which marked off time periods during which, God brought our planet from a dark watery, lifeless void, to a bright, picturesque and harmonious wonderland, teeming with life and pristine health. We need to ask ourselves the question: “Why did the Almighty God take seven days to do all this?” With such power, He could have easily formed it all in an instant. Why did He choose to do it in stages? Why seven days when seven minutes could’ve been just as easy? The answer is quite fascinating and reveals something about an intelligent God who has a plan for the earth and “created it not in vain, but to be inhabited”. The physical creation of the heavens and the earth was a process. Right from the beginning, God is telling us that to make something beautiful (the meaning of the term “very good” in Genesis 1) is no instantaneous affair – it takes time – and often happens in stages. When the Father wishes to take someone from among the human race and transform them into a person who thinks and acts like Him, it never happens overnight. It’s a learning process involving education and experience combined with trouble and triumphs, building faith, character, patience, wisdom and love. Even Jesus, though he was a Son, had to “learn obedience by the things which he suffered” (Heb. 5:8) so how much more, the rest of us. At first, we are like planet earth was before He went to work on it – empty, void and lifeless. But when He is finished, we shine “like a diamond in the sky” or as Daniel says, “like the stars forever”. So the account of Genesis chapter one is not merely the story of powerful physical events. These are only incidental to the main event – that everything God does has a moral platform. Why would God create LIGHT on Day One and then create the sun, moon and stars on Day Four? Where did the light come from on Day One? At first glance, this doesn’t make sense and certainly from a scientific viewpoint, seems redundant and illogical. But we need to look at this from God’s viewpoint. It is not up to us to say how He should’ve done things. He is doing things a certain way for moral reasons, not “scientific” ones. So let’s explore what He did and be amazed…. The Seven Days of Creation are divided into two periods of three days, followed by a “seventh day” of celebration. Each day in the three-day sequence, corresponds with the same day in the other three-day sequence. So… Day One matches Day Four, Day Two matches Day Five and Day Three corresponds to Day Six. DAY TWO:- The waters above (clouds) separated from the waters below (ocean) with an expanse (atmosphere) in between. DAY FIVE:- The waters below are populated with marine life, while atmosphere above is populated with flying creatures and birds. DAY THREE:- The seas are parted and the dry land appears. God says “let the earth bring forth” plant life bearing seed. DAY SIX:- God says “let the earth bring forth” animal life and creeping things … and finally, man. So what is happening here? The first three days are laying a foundation, while the second three days are spent in populating the raw material with specific and individually unique entities which are suited to the pre-established environment. So “light” as a general energy form, becomes “lights” specifically, sun, moon and stars. The empty seas become filled with life forms. The earth, separated for the purpose of a different life and bringing forth plants, becomes the earth bringing forth man. Elsewhere in the Bible, man is likened many times to different types of plants. “A tree planted by rivers of waters” (Psalm 1) “Trees of righteousness, the planting of the LORD” (Isaiah 61) and “every plant which my heavenly Father has not planted will be rooted up” (Matt.15:13) etc. Isn’t it interesting that there is a connection throughout Scripture, with man and different types of plants. Even in the Genesis 2, we find that man was put into a garden, surrounded by plant life and was made aware of two trees in particular – the “tree of life” and the “tree of the knowledge of good and evil”. Thus the connection between Day One and Day Three of the creation process was cemented. So what is it all about? God is telling us right from the beginning, that He has a plan with His ultimate creation – man. First, there is a foundation laid, which He then intends to populate with many unique individuals. The end process will be “very good” but only when it involves a multitude of people, not just one person. God brought light into a dark world on Day One. He enlightens our minds with His own way of thinking, as expressed in an understanding of His Word, the Bible. That is the mould – and He intends to accomplish that project in a great multitude who will in turn enlighten the world. This new enlightenment causes a separation, a discerning of the difference between earthly (natural) and heavenly (spiritual) things in the mind of the believer, much like the clouds being separated from the dark waters below. The principle is seen in the birds which fly in the heavens, as opposed to the creatures which inhabit the deep waters below – two types of people, one in darkness, the other in the light. The dry land appeared on Day Three so that the earth might bring forth plant life which would become the source of nourishment for what was to follow. So God wants us to be a source of nourishment for others, in a multitude of capacities, as many as different forms of raw food. When the man ate from the “tree of knowledge of good and evil” he became that tree himself. But God wants to “give us to eat of the tree of life” (Rev. 2:7) but this promise is “to him who overcomes”. We must go beyond enlightenment and discernment, to build noble characteristics into our lives by feeding on good things and growing strong spiritually. This third principle is going to work itself out in a multitude of people, as diverse and populous as every form of plant and herb upon the earth. This is God’s plan – to “fill the earth with His glory” (Num. 14:21) – and this is the reason why God created the earth the way He did, in seven days.